Learning should be enjoyable! 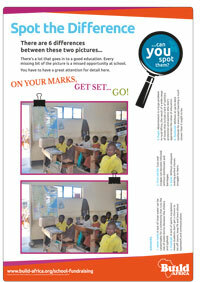 Have fun while learning about school life in Africa. 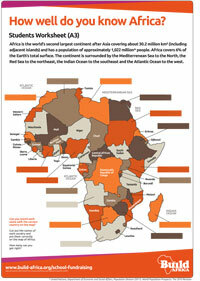 Play the Map of Africa game and see you many country names you can match correctly to the map. Or see if you can be the first to get a great education in the Snakes and Ladders Education game. Test your attention to detail and try to Spot the Difference between the two pictures. For more information about fundraising at school please contact [email protected] or call +44 (0)1892 519 619. We'll only use the information you provide to deal with your request.